Stone wool is often used for warming houses - after all, it is not afraid of fire, and is easy to install, and is inexpensive. And one of its popular types is basalt insulation, the technical characteristics and properties of which depend on where it is specifically used. By the way, we note that this material is one of the cleanest in terms of ecology. Since this insulation is a type of mineral wool, it has several names, among which is basalt or stone, cotton wool. Moreover, it not only surpasses all other types of mineral wool in its strength characteristics, but is also absolutely safe for humans and nature. Compared with mineral wool made from metallurgical slags, basalt insulation is more environmentally friendly, it is easier to cut and assemble, and it lasts longer. Molten gabbro-basalt rocks that form fine fibers form the basis of basalt wool. 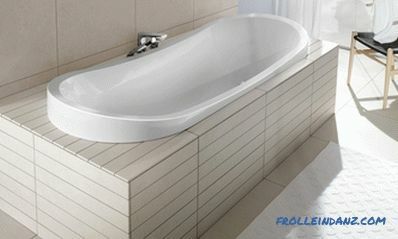 By and large, it is fiberglass, only not from quartz, but from basalt. And coined (or rather, noticed) was this material Hawaiians. Once, when one of the volcanoes once again spewed lava and cooled, the locals found in the remains of lava amazing fibers, long and strong. Later, what was done by nature, people were able to repeat, inventing the production of basalt fibers. For this, the rock must be crushed and melted. The temperature in the smelting furnace is very high - 1,500 degrees, no less. Then the melt goes to special drums, where it is rotated, blown by an air jet. 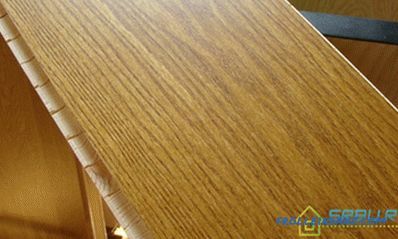 As a result, fibers are obtained, the thickness of which is not more than 7 microns, and the length is not more than 5 centimeters. To make the fibers elastic and durable, a special compound is added to bind them. Then cotton wool is heated to 300 degrees, passing through the press 2 times. The fibers in the basalt heater do not have a strict orientation, but are rather chaotic, therefore the structure of the substance is air. Countless interlayers of air between the thin stone fibers - an excellent heat insulator. Therefore, the coefficient of thermal conductivity of this material is very small - its value is in the range from 0.032 to 0.048 watts per meter per Kelvin. This corresponds to the level of cork, foamed rubber and polystyrene foam, both extruded and ordinary. Let's try to compare the technical characteristics of basalt insulation and other materials. Take, for example, 10 cm. Mat of basalt insulation, the density of which is 100 kilograms per cubic meter. To the effect of heat conservation was similar, you need to build a ceramic brick wall with a thickness of 117 centimeters. If the brick is made of clay, then the wall should be even thicker - 160 centimeters. Silicate bricks will have to lay out a two-meter wall, and the layer of wood should be at least 25.5 centimeters. This material has the property of hydrophobicity. Water, falling on it, can not penetrate inside, so that the insulating properties do not change. 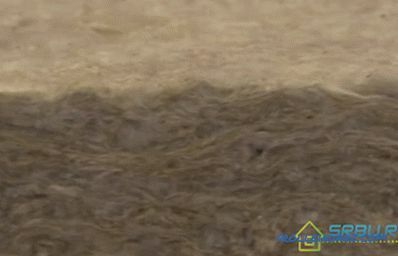 But if you hold a similar experience with ordinary mineral wool, then it will absorb a fair amount of water. Wet cotton wool will not keep warm - because water, falling into its pores, significantly increases the thermal conductivity of the material. So if you need to insulate a wet room, for example, a sauna, then take not ordinary glass wool, but basalt - you will not be mistaken. Water absorption by volume is not more than 2%. Water does not impregnate, but flows around basalt wool fibers, since it is impregnated with special oils during the production process. In accordance with the requirements imposed by firefighters, basalt fiber wool is considered to be non-combustible. But this is not all - it can block the path of open fire. The maximum temperature that basalt insulation can withstand without reaching the melting point is 1114 0 С. This allows it to be used to isolate devices operating at high temperatures. If we consider the performance of this thermal insulator on fire safety (determined by airbag 244-97), then stone wool is classified as non-combustible material (NG group). So it is determined by GOST 30244 and SNiP 21-01-97. Thus, there are no restrictions on the use of this heater. Any buildings, structures, structures and structural elements can be isolated with this material. As for acoustic properties, they are good for basalt wool - in the sense of sound insulation, of course. This heater is able to mute the vertical sound waves going inside the walls. Due to this, the room is well isolated from external noise. By absorbing sound waves, stone wool reduces the reverberation time, which protects not only the room, whose walls are insulated with this material, but also the neighboring rooms from noise. Basalt fibers inside the material are randomly arranged, and some of them go in the vertical direction. Due to this, even not very dense stone wool is able to withstand considerable loads. Thus, at 10% deformation, basalt wool has the limits of compressive strength from 5 to 80 kilopascals. The specific value of this indicator depends on the density inherent in this brand of material. Such strength characteristics of basalt wool guarantee that the heat insulator will last for a long time without changing its shape and size over the entire period of use. Stone wool is chemically passive - this is its undoubted advantage. If it is laid close to the metal surface, then we can be sure for one hundred percent that rust will not appear on the metal. And the basalt insulation belongs to aggressive biological media quite calmly. 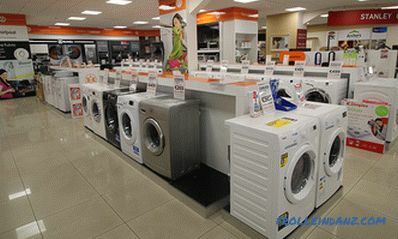 Neither rotting, nor damage by mold fungus and other harmful microorganisms are peculiar to it. He bravely withstands the invasion of rats and mice in the house - after all, these rodents are not covered in cotton wool. High resistance to aggressive substances allows the use of this insulation to isolate many technical facilities that operate in difficult conditions. Stone wool is made from natural raw materials - basalt mineral. Its fibers are bonded with a formaldehyde resin. 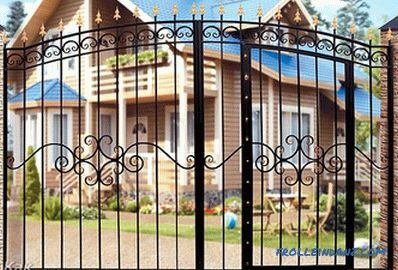 It gives the material the necessary strength characteristics, and also makes it more dense. Although they say that phenol is dangerous, but not in this case. After all, it cannot stand out from basalt wool, since it is completely neutralized even during the production of the material. However, at the stage of manufacturing this mineral insulation phenolic evaporation is extremely small - much less than the permissible limit of 0.05 milligrams per m 2 / hour. Unlike glass wool fibers, basalt fibers do not irritate the skin, do not prick, and do not cause allergies. Today, the construction market has a large number of brands of stone wool of various density, the technical characteristics of which differ somewhat from each other. But all types of basalt insulation are distinguished by durability and long service life. 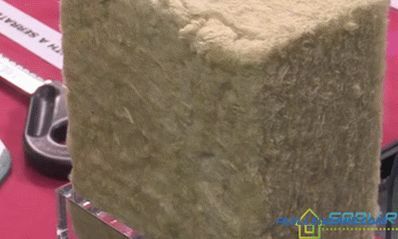 This insulation can be used in almost all building structures. They can insulate as the roof of any shape, and walls, partitions, floors. In addition, due to its characteristics, basalt insulation is quite suitable where another insulator will be completely useless. Further we will list where it will be especially practical to use this material. Rooms with high humidity, such as saunas and baths. Facades of hinged ventilated type, "wet" facades. Walls made of sandwich panels, as well as made with laminated masonry. Cabins on ships, as well as other ship structures. Pipelines of various types, the surface temperature of which can range from minus 120 degrees Celsius to plus 1000 degrees Celsius. Also, basalt material successfully serves as an obstacle to fire, perfectly protecting ventilation pipes and building structures from fire. It should be noted that it is very successful to use hard mats from this mineral insulation where sufficiently large loads are assumed. They can be both assembly and operational. If you need to insulate a ventilated facade, then it is best to take a basalt wool, consisting of two layers. Each layer has a different density, with a looser layer located inside, from the side of the walls. The second layer, which has a more dense structure, should be outside, on the ventilation side. When building a country cottage with a small number of floors, an optimal choice can also be a basalt heat insulator. It is good for insulation of any structural elements: roofs, ceilings, facades, walls and partitions. And there, where it is very wet (in baths and saunas) basalt cotton wool is just a real salvation. Especially considering the ratio of excellent technical characteristics of basalt wool as a heater, its excellent quality and reasonable prices. 1. It would seem that all this material is good. It is both durable, and the heat saves great, and outsider noise in the house will not allow. But he has his drawbacks, albeit a few. For a start, we mention a fairly high price. Unfortunately, not everyone can afford this wonderful natural basalt fiber insulation. 2. The presence of seams in the places where the individual elements of the insulation are joined makes the insulation layer insufficiently tight. 3. Despite the fact that the basalt fibers are soft and do not prick the hands, tiny pieces can break off from them during the installation. As a result, a column of the smallest basalt dust rises from a heat insulator. And inhaling this dust does not smile at anyone - it definitely will not contribute to health promotion. Wear a respirator before working with insulation - and everything will be fine. And to eliminate dust, the finished surface of basalt cotton wool is covered with a layer of waterproofing membrane. 4. 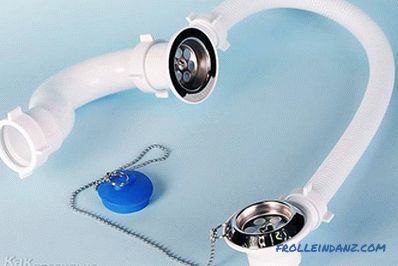 Because of the good ability to pass steam, it is not advisable to use this insulation in some cases and it is better to replace it with the same polystyrene foam. For example, when we warm the basement or foundation of a house.